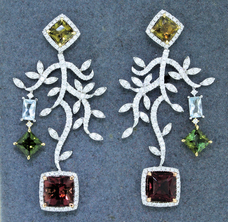 WELCOME to AYEN'S Fine Jewelry Collection! 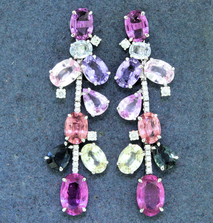 210-202 Lady's White 18K Drop Earrings with 18=17.88 carat tw Various Shapes Multicolored Sapphires and 28=0.33 carat tw Round F/G Vs2 Diamonds. 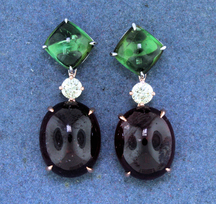 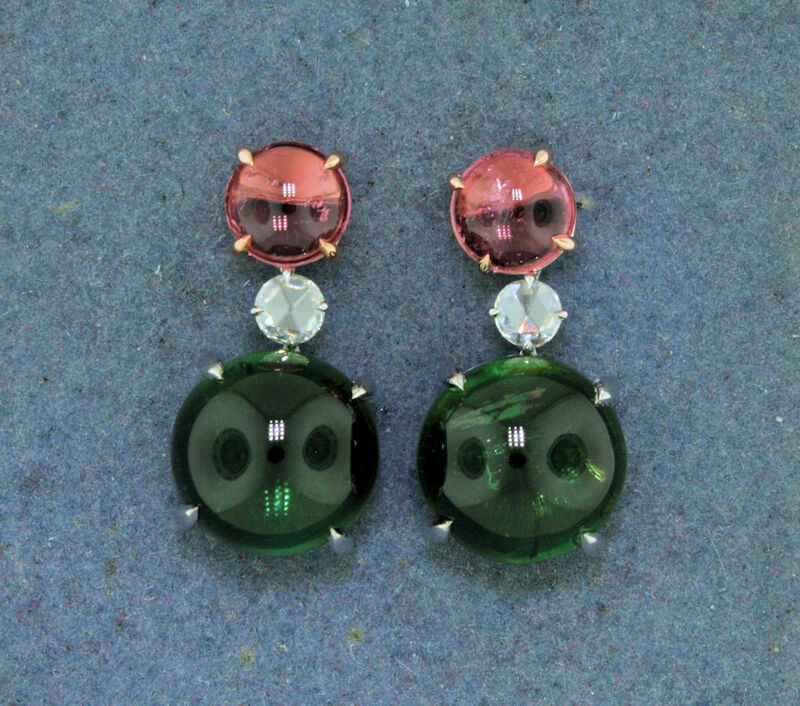 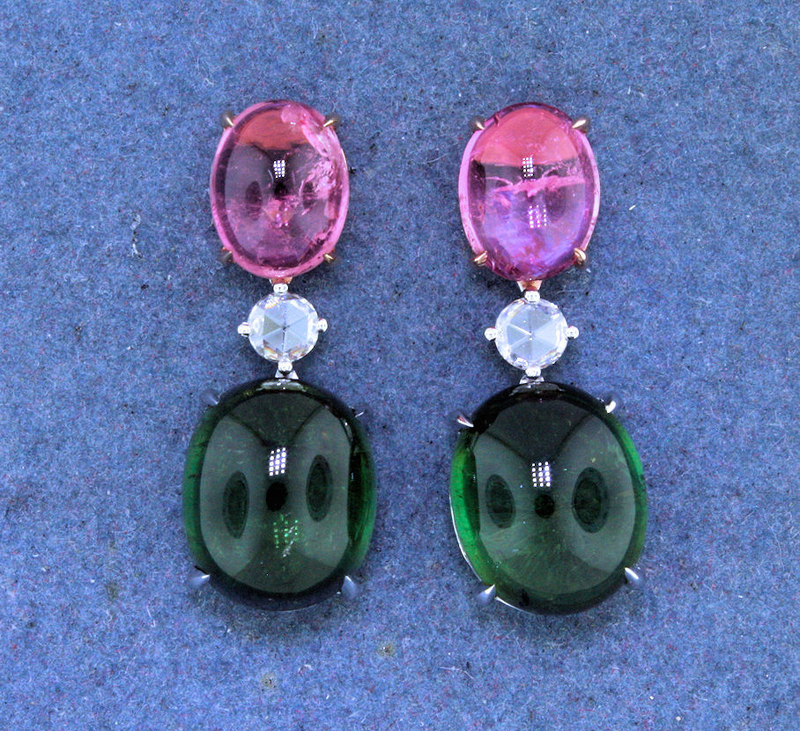 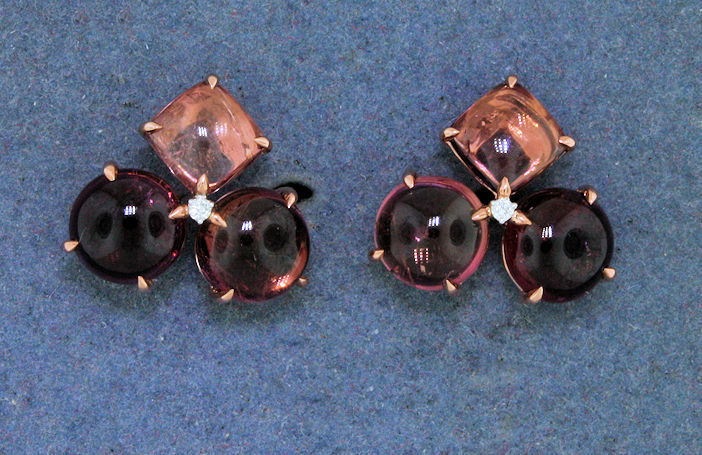 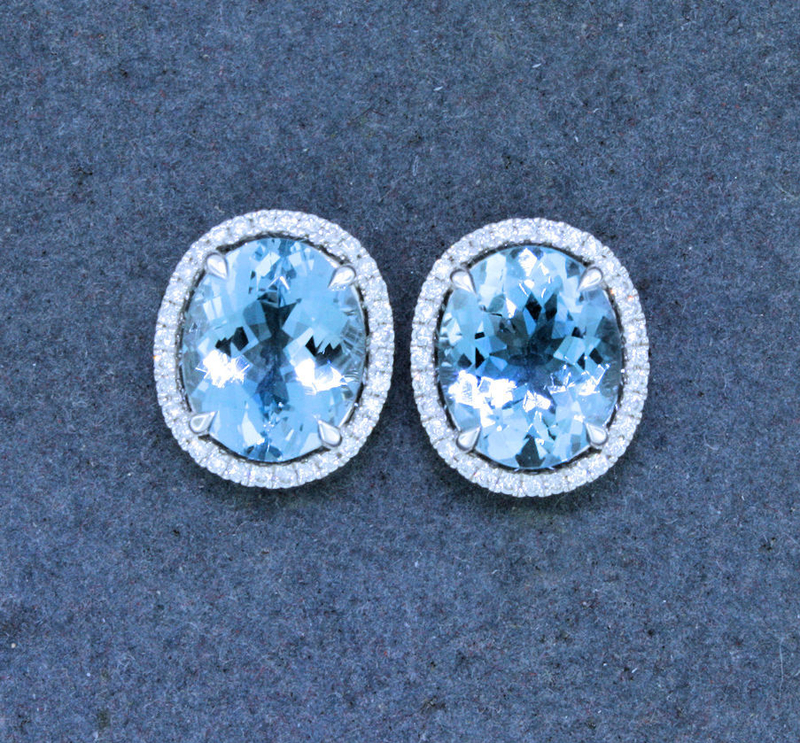 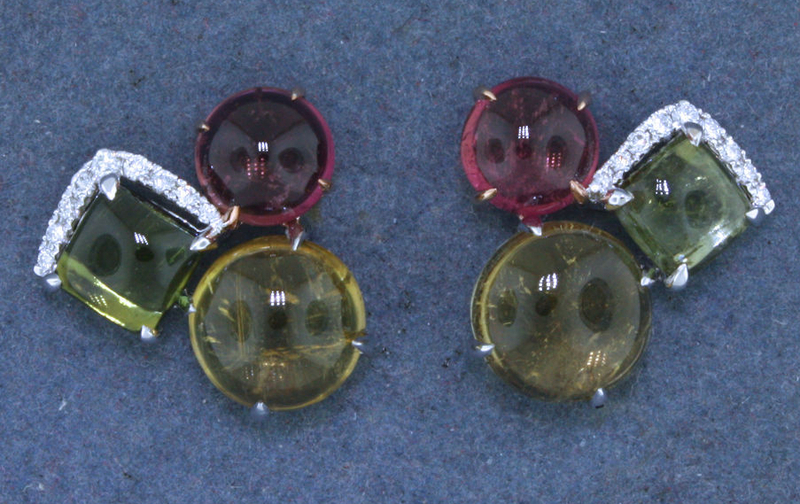 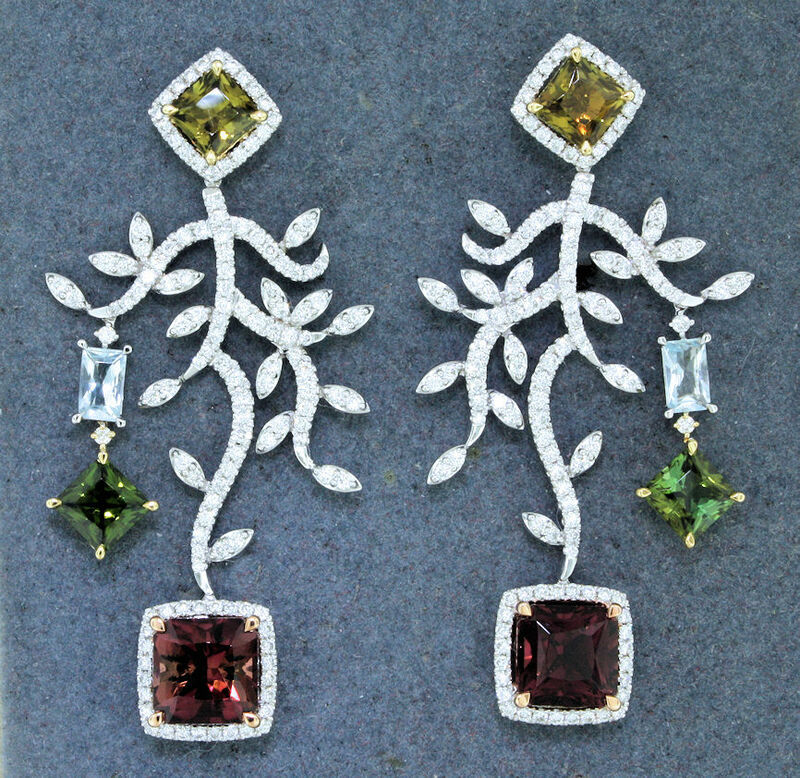 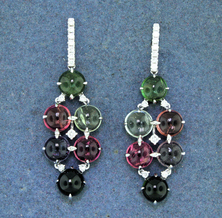 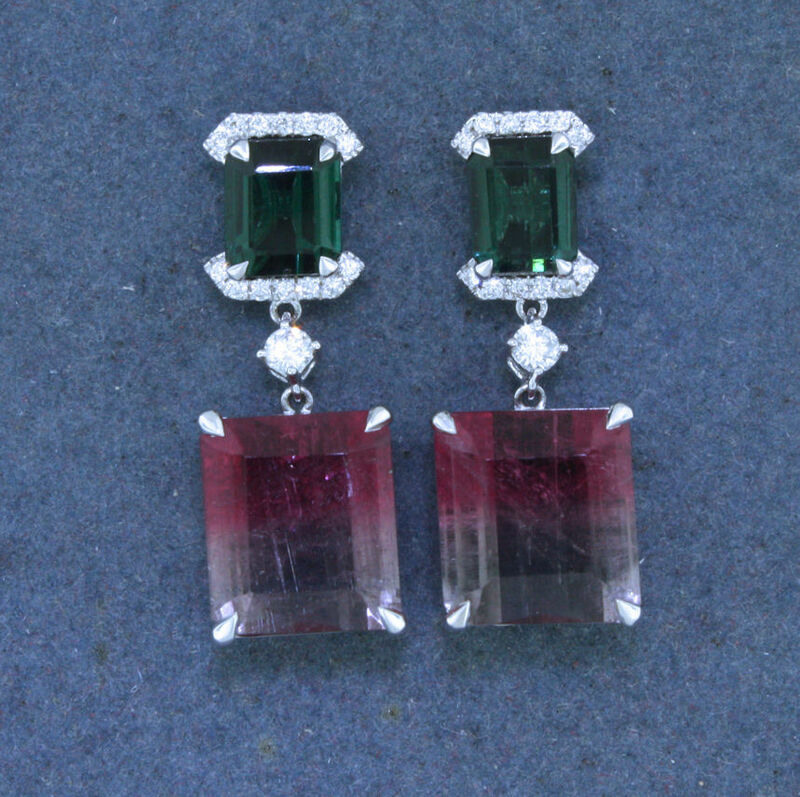 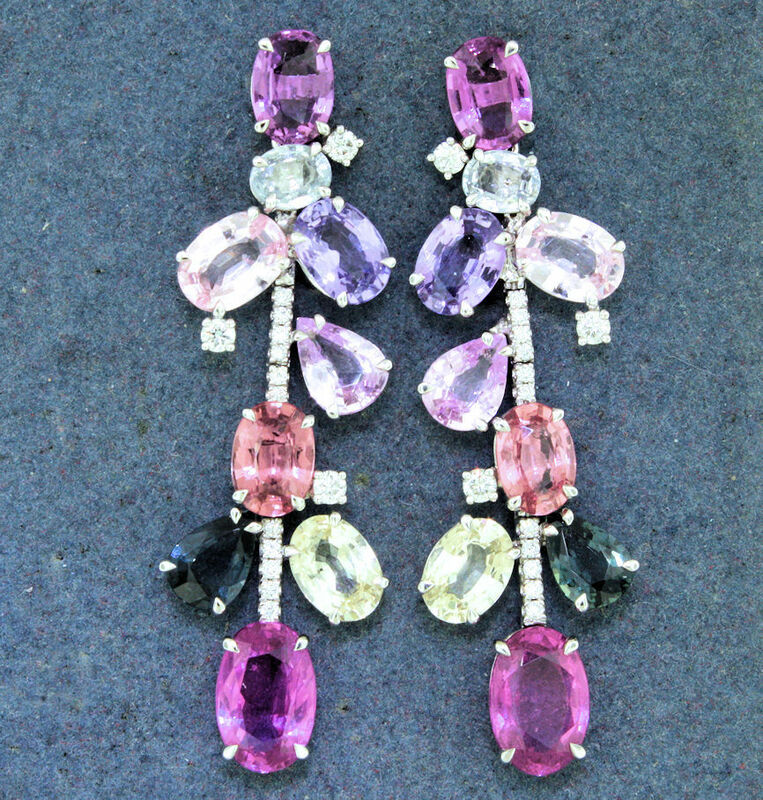 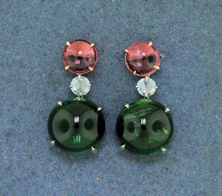 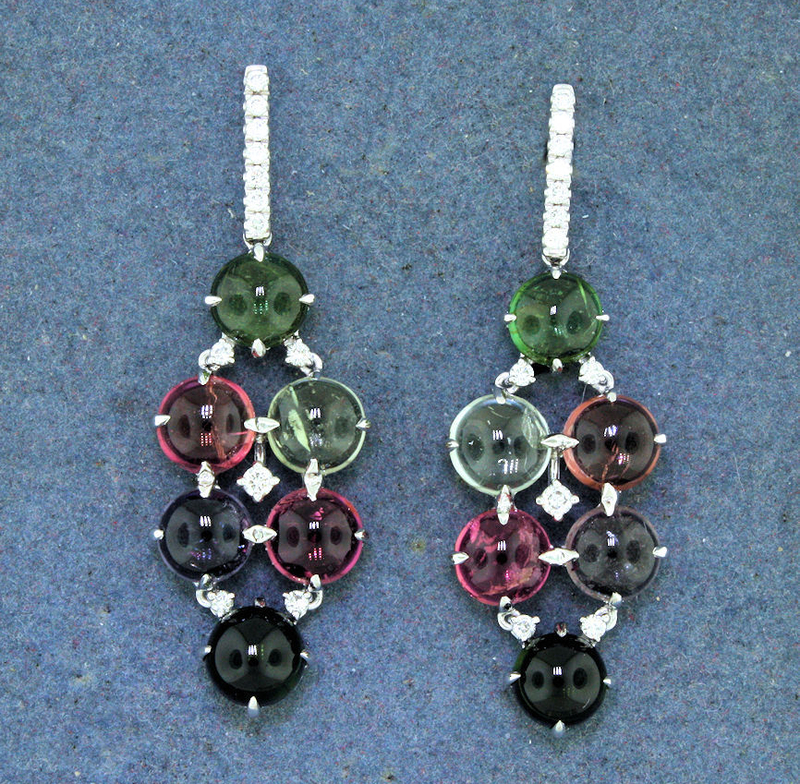 210-198 Lady's Rose' 18K Button Earrings with 6=7.37 carats tw Cabochon Red Tourmalines and 2=Round G/H Si1 Diamonds. 210-201 Lady's White 18K Drop Earrings with 12=12.12 carats tw Cabochon Multicolored Tourmalines and 24=0.29 carat tw Round F/G Vs2 Diamonds.